I'm finally living a life worth living. I have three handsome sons and a husband that would take on the world for me. All the trials I faced in the past seem like a distant memory. I overcame my depression from growing up in a broken home and moved past a shattered heart from my first love. It took time, but I made it through. Elizabeth Wills was born in Maryland. She married her high school sweetheart and they are now raising two spunky boys. 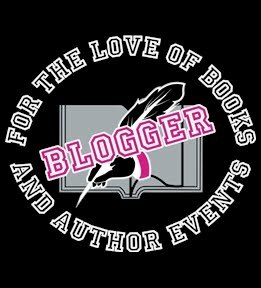 When she's not writing, she's working her part time job in radiology, chasing her two busy children and tending to her home. 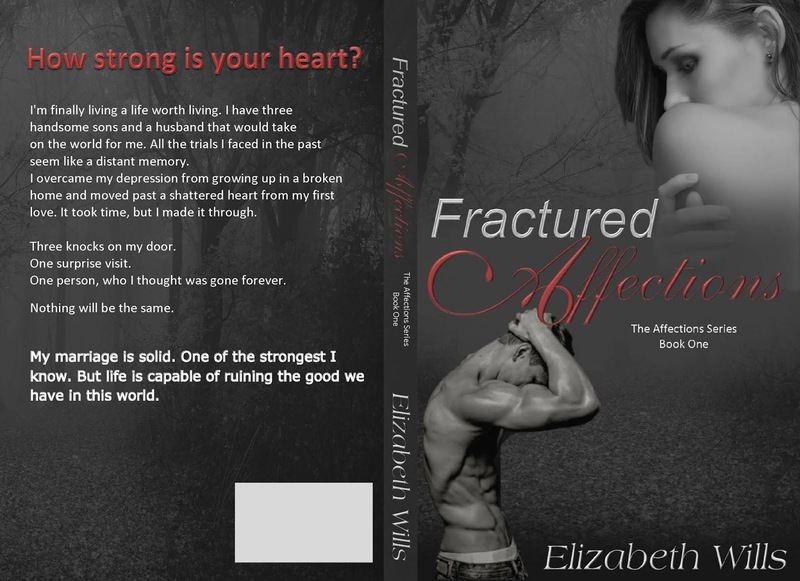 Elizabeth has a passion for a good love triangle, with a HEA. She usually falls for the underdog. 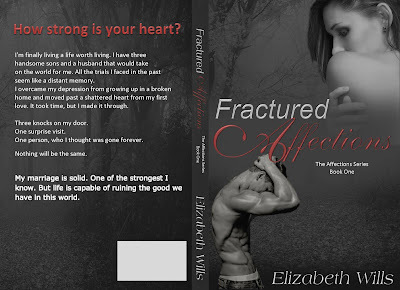 Elizabeth writes contemporary romance, with her debut novel Fractured Affections releasing October 22nd.